Welcome to 154 South Sandy Hill Road, a beautiful Colonial-style home on a spacious, 3.61 acre lot! Step into the inviting entry offering beautiful, new flooring that spreads to the bright living room. Framework for a fireplace is already in place on the exterior, so installation will be a breeze! The formal dining room leads you to the spacious kitchen featuring an abundance of cabinet space, center island, double sink, recessed lighting and a bright breakfast area with slider to the rear deck. Spend some time in the comfortable family room featuring an abundance of natural sunlight! Ascend to the second story and meet the large master retreat with vaulted ceiling, walk-in closet and a master bath featuring a dual vanity, soaking tub, and standing shower. There are two additional, generously-sized bedrooms and a full hall bath on the second floor. The unfinished basement could be used for storage or finished for additional living space! Take advantage of the 2-car garage for additional storage solutions. Entertain your guests on the spacious rear deck overlooking the level, wooded lot! Additional features include: new roof in 2018, new front porch, fresh paint and new flooring throughout, new hot water heater, new garage doors, and a water powered backup sump pump, ! Conveniently located close to major roadways, shopping and dining! 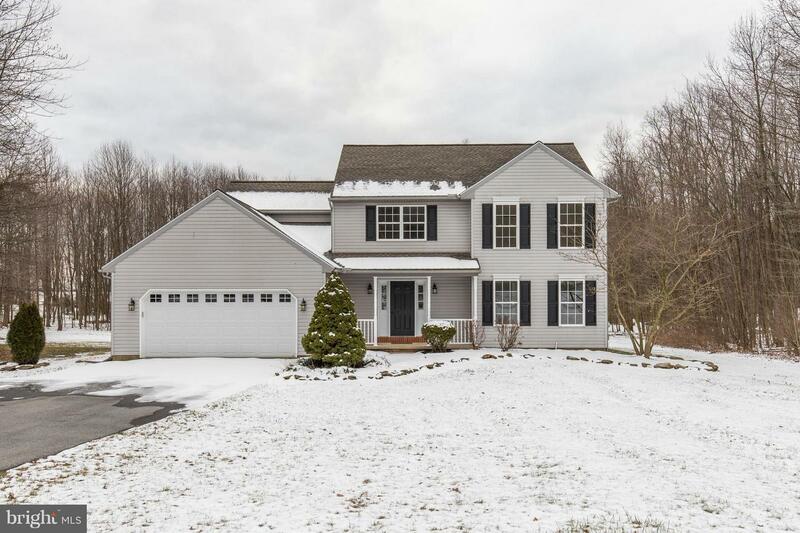 This home has been meticulously cared for by the current owner and it is shown throughout!